Project Featured in the Star Tribune! Check out this project we had featured in the Star Tribune this week! We worked with Paul Hannan of SALA Architects. View this 2013 Remodeler Showcase Home this weekend! 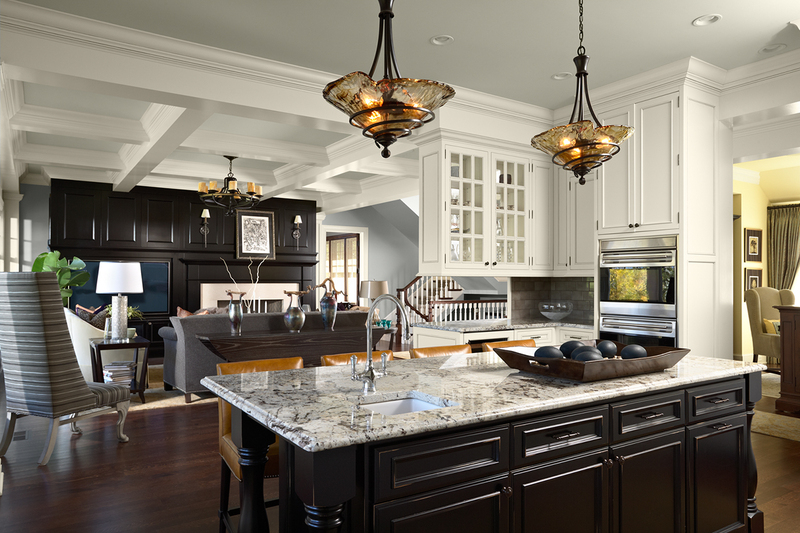 This weekend, the Parade of Homes Remodeler Showcase is featuring the work of Steven Cabinets and Authentic Construction in a historic Saint Paul Home. Featured in these photos is the work and partnership of Steven Cabinets and Authentic Construction. Don't miss the opportunity to see for yourselves, our work and the work that can be done in your home! Visit here for a map and further information about this home and other homes in the 2013 Remodeler Showcase. Steven Cabinets is proud to announce another house that we were a part in remodeling, which is among the 2013 Parade of Homes Remodeler Showcase! In this Edina home, Steven Cabinets worked with Knight Construction in supplying the cabinetry in the kitchen as well as the master bathroom. Please enjoy visiting this remodeled home during the Parade of Homes Remodeled Home Showcase, March 22-24th, 2013. To find a map and detailed information, please visit the Parade of Homes website. The cabinet work of Steven Cabinets in collaboration with the work of Authentic Construction, can be viewed in the Parade of Homes 2013 Remodelers Showcase, March 22-24th, 2013!This remodeled home is located on the historic Summit Avenue in Saint Paul, MN. Visit and view this home, Friday the 22nd, 1 to 7:00 pm and Saturday/Sunday from noon to 6:00 pm. For a map and directions, please visit Parade of Homes. Black and White Kitchens can look very contemporary and very chic, as in what is featured in this article. Steven Cabinets has done work like this, but in addition to the more contemporary look, has found beauty in a traditional, black and white kitchen style. 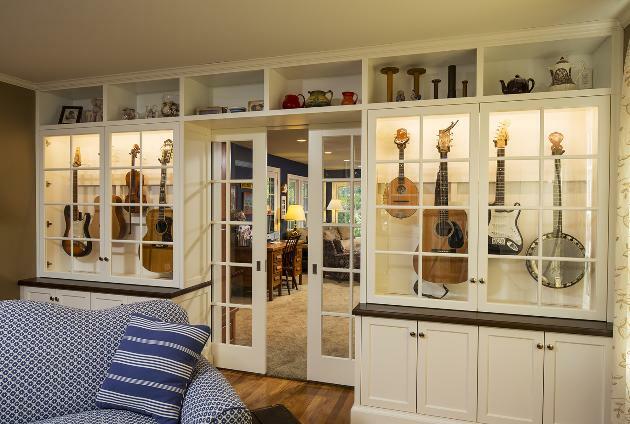 An example of this can be seen in the work of Steven Cabinets below. 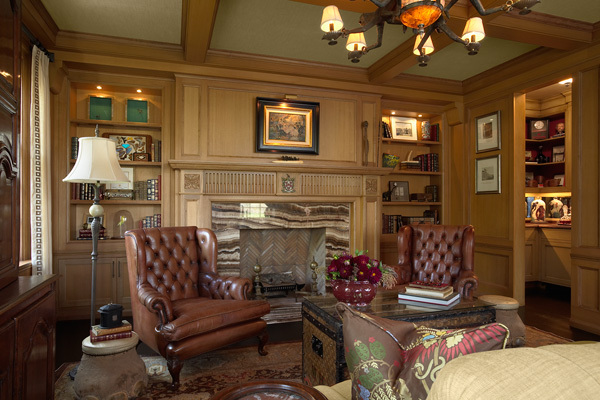 Steven Cabinets did the work of the fire place, the wall paneling, the hidden door as well as the bar cabinetry! Scroll down on the article near the bottom to see the two photos of our featured office. Congratulations to Erotas Building Corporation for winning the Reggie Award as well as the 2012 Parade of Homes, Dream Home!The cabinetry work of this home was completed by Steven Cabinets! An example of Steven Cabinets work can be seen below in the picture of the 'Dream Home' Kitchen and Great Room. More pictures of our work can be seen here, posted with the work of Erotas Building Corporation.